Yuna is a really unusual color. It’s a dark blue-gray chock full of gold micro-flakies. 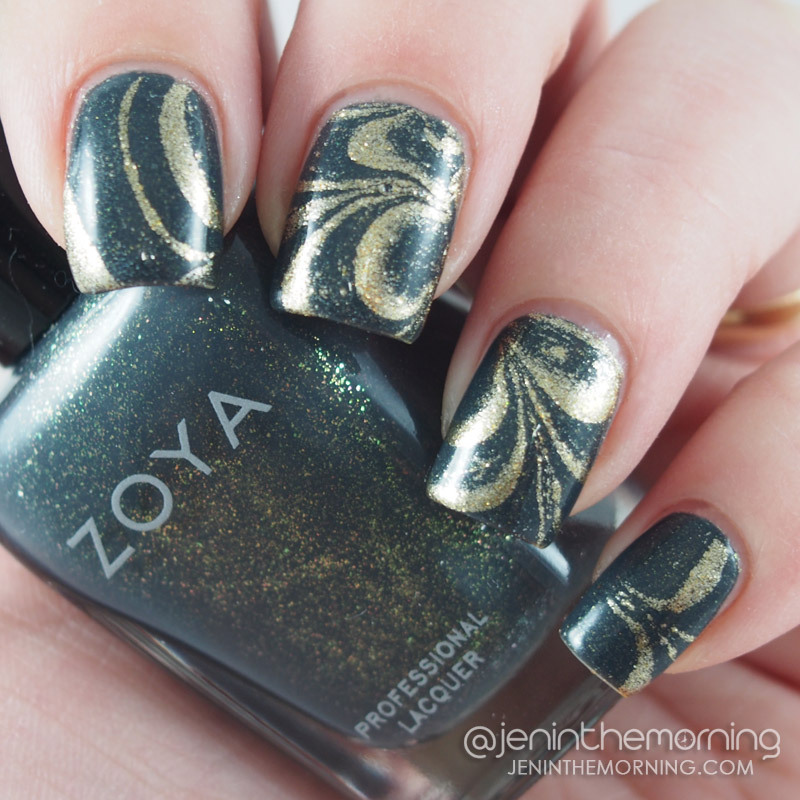 The formula was a bit on the thick side and was opaque in two easy coats. 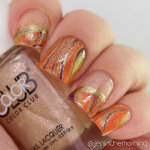 As always, I also couldn’t resist doing a bit of nail art on top so I did a gold water marble on top. I wasn’t completely thrilled with how it turned out. I need a better clear polish to marble with (I used ORLY Nailtrition). For the gold, the only one I have that marbles well is Wet n’ Wild Fergie – Gold Album. Overall, I really like Yuna – when I see it on other people. When I wore it myself, I felt like the color just didn’t work well with my skin tone. This will probably go to my destash bin, but the quality of the polish is lovely, so it isn’t a reflection on the polish itself, just a personal color preference!